I stopped by a friend’s office shortly before Election Day this year to see how things were going, and grab a quick beer that would also hopefully serve a pick-me-up during a busy, stressful season. Sip of Sunshine could quite possible be the best name for a beer to drink during this time of year, if only for the suggestive happy nature of the title. I was thrilled to find Sip of Sunshine made by Lawson’s Finest Liquids out of Vermont. 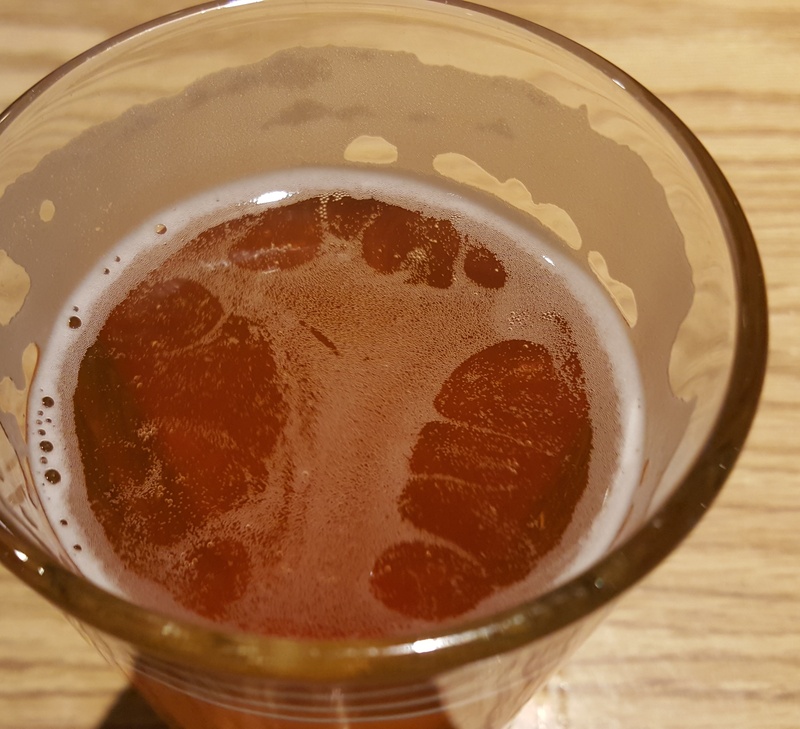 I had never tasted it before – and it’s one of those beers that made my eyes light up and gave me a cheek to cheek smile as the flavor settled in. This is a real gem. Let me back up and start with the smell. This smells like daisies and lemon, and there’s no way that doesn’t make you happy. Your first taste is just like being outside, it tastes like crisp pine needles and moves quickly towards the beer’s hop forward flavor that takes over your taste buds. It will settle into your month with a light floral taste, and you’ll need to let everything you just experienced soak in. On top of this beer’s flavor being a perfectly timed experience, it’s also only mildly coarse, and is light enough not to bother your stomach. My recommendation – have two at a steady pace. It’s 8%, so if you need a nice, relaxing evening – this is your beer. You can follow Lawson’s Finest Liquids on Twitter at @LawsonsFinest, and visit their website to read more about Sip of Sunshine. This entry was posted in Beer, Craft Beer and tagged Beer, Craft Beer. Bookmark the permalink.